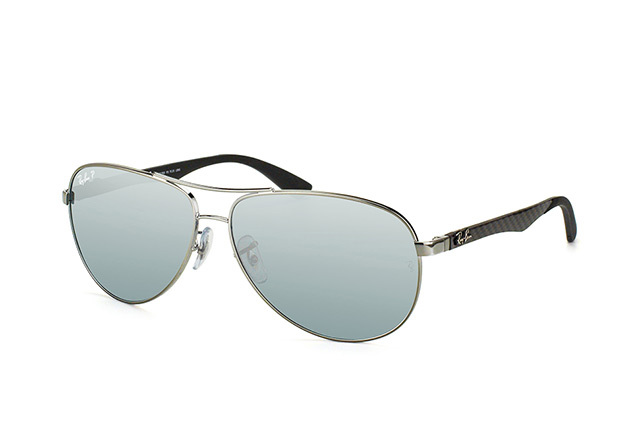 These silver men's sunglasses are so free and easy and effortless. 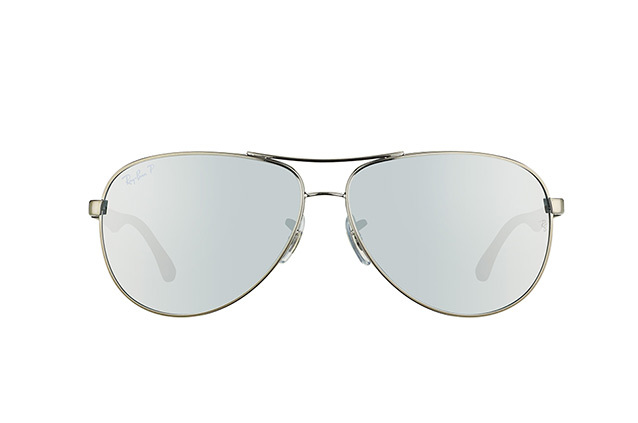 Their frames are ultra thin and the lenses have a classic mirrored effect. Perfect for relaxing beside the ski slopes. 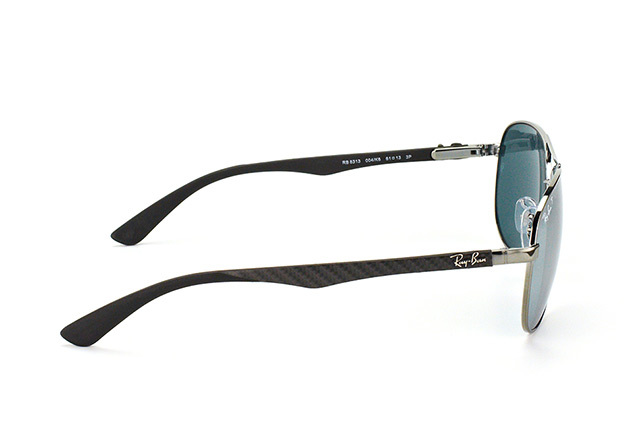 Ray-Ban RB 8313 004/K6 sunglasses offer real glass lenses. Their silver mirrored effect harmonises perfectly with the silver and grey metal and plastic frames. The lenses have a UV 400 filter so your eyes will stay protected from UV rays whilst you are wearing these sunglasses. In addition, these sunglasses' lenses are polarising lenses which means that they will also protect your eyes from the sun's glare. So, you can wear them while driving too, as they will reduce the 'dazzle' effect that you can get from driving in the sun. Do you need to get these sunglasses quickly? Here at Mister Spex we pride ourselves on our efficient delivery service. In fact, we will post your order to you the same day if you order prior to 2pm. That is just one of the reasons why we are Europe's favourite optician.